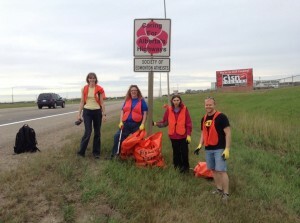 Highway cleanup is this weekend Saturday and Sunday morning, unless it rains, then we will postpone. We meet at 9am and go for a few hours, please make sure you dress for the weather and we would advise AGAINST sandals or shorts/capri pants as the grass gets pretty long and dirty. 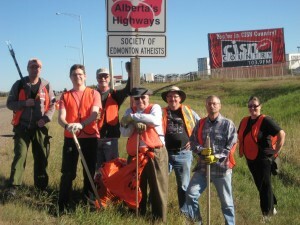 Please also be advised that Alberta Transport requires volunteers for the highway cleanup to be at least 9 years of age. Our section of the QE II is the east side of the road, just north of Highway 625. South end of the Sparrow Drive Service Road in Nisku at the cul-de-sac just south of the Blackjacks Roadhouse. We are limited to 10 volunteer spots, so please ensure you are available for the entire day before agreeing to come. Shift is from 8:00am until 4pm, with a few breaks and lunch. There is a site specific safety orientation for assigned tasks for each day that you are scheduled. YOU MUST BE PUNCTUAL; due to the safety program anyone who misses the morning safety orientation will not be able to work on site. NOTE: Habitat for Humanity now requires that you BRING your own set of work gloves. They can be purchased for less than $5 at a local hardware store. It’s December. Christmas decorations in stores have been up for 8 weeks already, you may be wishing you could target an EMP at speakers playing carols, and the annual charity season is in full swing. Salvation Army kettles are in the malls, and there are billboards up explaining that a goat is more than just a goat. A few years ago, the SEA adopted a section of the QE II highway; we make sure it gets cleaned, and the province puts our name on a sign. The second weekend we’re cleaning this year is this Saturday and Sunday, from 9-11:30am. If you can offer a carpool, or need a carpool, please contact us, or if you’re on the Facebook group, post a notice on the events. South end of the Sparrow Drive Service Road in Nisku, at the cul-de-sac just south of the Blackjacks Roadhouse. A few years ago, the SEA adopted a section of the QE II highway; we make sure it gets cleaned, and the province puts our name on a sign. The first set of days we’re cleaning this year is this Saturday and Sunday, from 9-11:30am (the early times avoid us being out there when it’s sweltering hot). 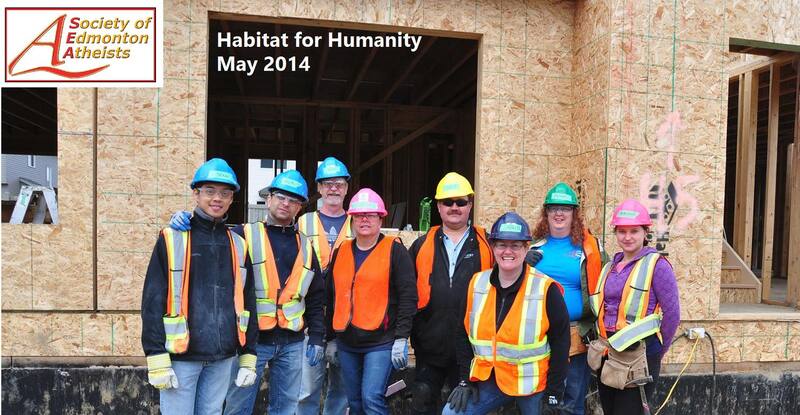 A big thank you to our volunteers who helped out on the weekend at Habitat for Humanity. The build was at an earlier stage than last years site, and we had much better weather this year. As an added bonus most of us had a chance to use some power tools! SEA also donated money which paid for lunch for the volunteers that day (our group and another group that was there on the same day). Thank you to anyone that gave a monetary donation towards that. We plan to be involved on a yearly basis, information is usually available in the first few months of the year. Thanks so much to everyone that took part in the highway clean up this September, our new format was a huge success. In previous years we have just met early and worked all day to clean up our stretch of the QE2, however this saw the group of volunteers working for upwards of 7 hours. This year we split the clean up over two weekends, doing 2 hour stints each time. Not only did you not get as tired (your back didn’t ache the next morning), it was more productive and we had time to head out for lunch afterwards. 15 different people came to help out over the course of our 4 events, that’s double the amount that came out last year to help. Great job guys and gals! 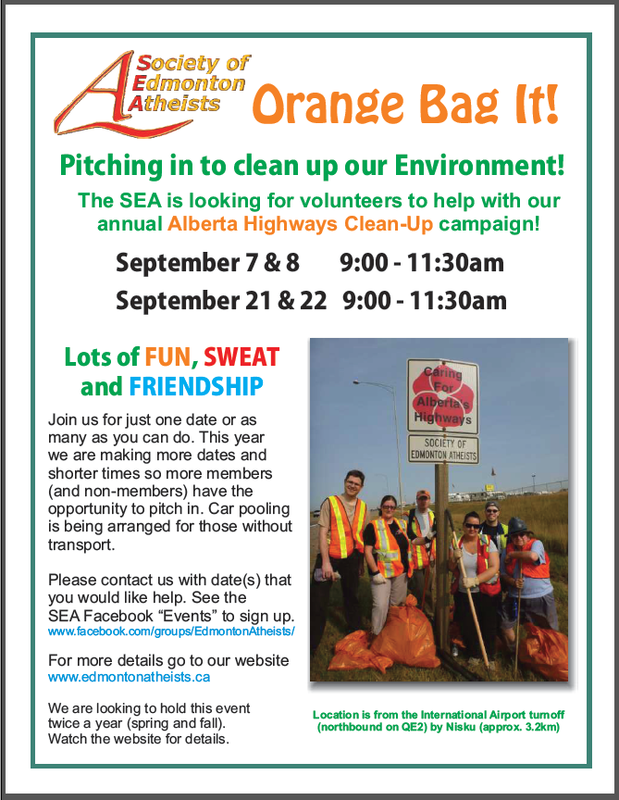 We’ll follow that same format next year and we may very well be adding a late spring/early summer highway clean up too, so watch the website/facebook page for info on that. Volunteer Opportunities in September, come join us for one day or for all four! If you require transport let us know as we do have a few car pools set up! You can contact us via email or if you are on Facebook you can RSVP to the actual event listings. 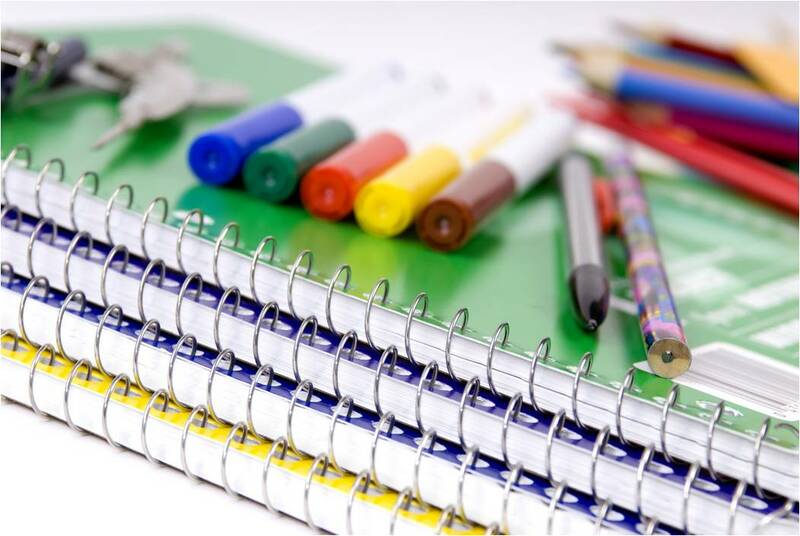 Society of Edmonton Atheists member, Harriet H, is issuing a challenge to all of us to help out with the ‘Tools For School” program in Edmonton. Harriet went along to Breakfast Televisions Event in the park a few days ago to make her donation towards the program, the event hoped to fill a bus with school supplies to distribute to those families in our region who have limited resources. According to the Edmonton Public Schools website, over 4500 school kits were distributed to families in need last year alone. The program runs until August 31st. An Atheist, a Seventh Day Adventist and a Mormon walk into a volunteer center…. On June 20th, fast and heavy rain led to quick and mandatory evacuations for many regions in Southern Alberta. It is estimated 75,000 -100,000 people were displaced due to flooding. When I heard about the floods happening in our province, my first thoughts were immediately about what I could do to help. 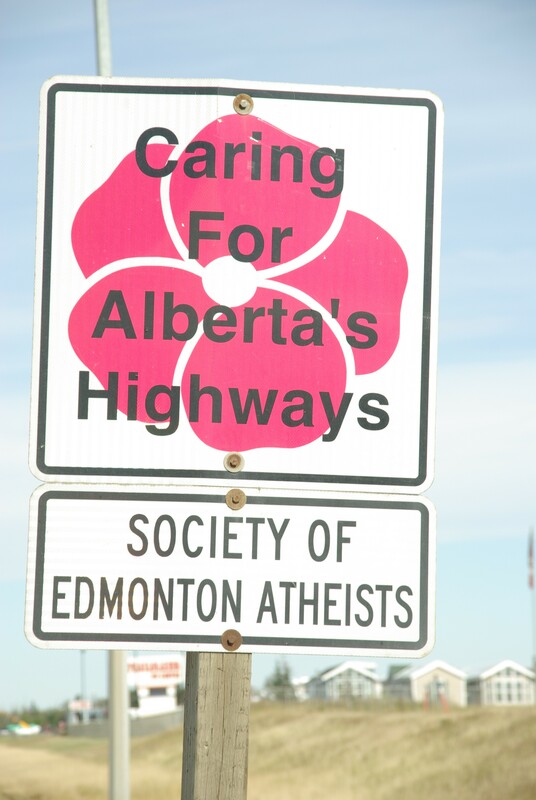 The earliest I could get away from family duties was June 28th so I was up at 5am and on the road to Calgary to get there for the donation centers opening. I had gathered food, toiletries, baby items and clothing all to be donated as soon as I arrived. After dropping off my donations I was keen to get my hands dirty and help clean up flooded areas so I headed into downtown. My day eventually found me in the mission area of Calgary, a volunteer center had been set up in a Safeway parking lot (as it too had been flooded and was not open). Hundreds of volunteers all lined up to be given directions on which houses required help. The set up was excellent. Food and drinks, supplies of masks, gloves and safety glasses all made available and people being directed in groups to specific houses with particular needs. Off I trotted with my new group of pals (there were 6 of us in a group) and we all took a moment to ourselves as we turned the corner onto Roxboro Drive. It was like a war had happened. Dumpsters lined the mud laden street, filled with a mix of filthy furniture and debris from the buildings. In among the devastation were people handing out sandwiches to volunteers, people walking around with tools and rubber boots covered in mud and dust, and homeowners quietly sorting their things into piles to see if any small item could be salvaged. A few hours into my volunteering I found myself helping tear down the inside of a house built in the 1920’s. Not only had the basement flooded, but the main floor as well, probably to a height of about 4 feet. The walls were old fashioned and the water had damaged them. Since we build differently the walls could not be repaired so had to be torn down. Hammer in tow, I sadly bashed away as the plaster crumbled and fell to the floor below me. A rather large group of volunteers joined me later that afternoon, all with a church group so I smiled kindly and introduced myself, and we all worked together. Before they left however, they sought out the homeowner, a 72 year old woman who had just lost most of her belongings and was now watching her house be demolished. Her daughter was also there helping sort things out and thankfully they left their propaganda with her, instead of with the lady who lived there. 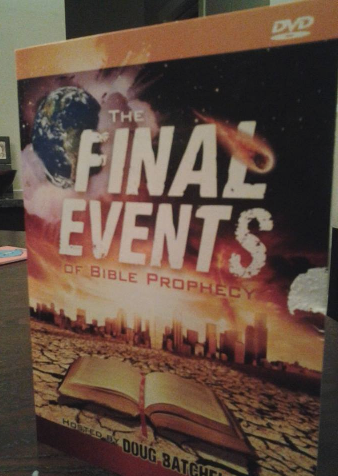 Seventh Day Adventists who clearly helped out with the obvious intention of proselytizing before they left, dropping their ”Final Events” dvd on the picnic table in front of her and letting her know that this flood was God’s wrath and judgment on earth before the final end of days. Day two found me back at the same house as I had already formed a small bond with the woman who lived there and her grown son and daughter. This time, a group of Mormons had ascended on the house. Today the walls were gone, but there were nails remaining in the framework, so the task was to remove them all. There was easily 30 Mormons in the house and when I asked they informed me they had held a very early church service so that the entire church congregation could come out to lend a hand. Upwards of 90 volunteers from their church out in different parts of the street, all of them wearing their Jesus Of Latter Day Saints Mormon ”Helping Hands” shirts, so they would be easy to identify. Unlike the Seventh Day Adventists, the Mormon group did not leave any information nor did they approach the family to talk about anything religiously minded at any time. Their shirts obviously did their proselytizing for them. This is not meant to be unappreciative, I am extremely thankful to the church groups who took the time to come and help, especially on the Sunday as I found it especially heartwarming that they changed their regular routines to be out in their community helping to rebuild and clean up. These groups were organised, bringing their own tools and with many young hard working people in their groups they were able to accomplish a lot in only a few short hours in each house they visited. There were warm smiles and thankful replies when I told them I had come from Edmonton for the weekend to donate my time. I only wish they’d left their propaganda at home, and helped simply for the sake of helping.